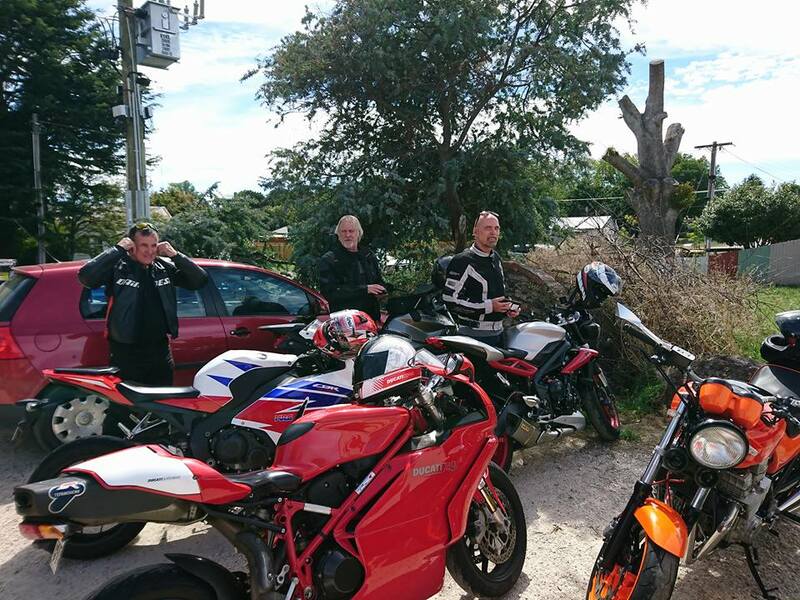 It was a perfect day for a club ride with the forecast for Melbourne being sunny and 25 degrees, what more could we ask for. 14 bikes assembled at 9:30am at the Tullamarine Aircraft Viewing area just north of Melbourne Airport. Dewy drove down to see us on our way, as he was unable to make the ride due to other commitments. Upon arrival everyone was given a card to write their name on it and after I gave a riders brief on how the relay ride would work, we shuffled the cards to see who would lead the first leg of the ride. Christian volunteered to be tail rider so he chose the first card from the deck. Kitti was drawn as ride leader. After a quick study of Google Maps, Kitti decided to head directly north along Oaklands Road towards Clarkefield. From Clarkefield we continued north to Romsey where we pulled over and Kitti declared that she was no longer the ride leader. The cards came out and were shuffled and Christian drew his own card from the deck. 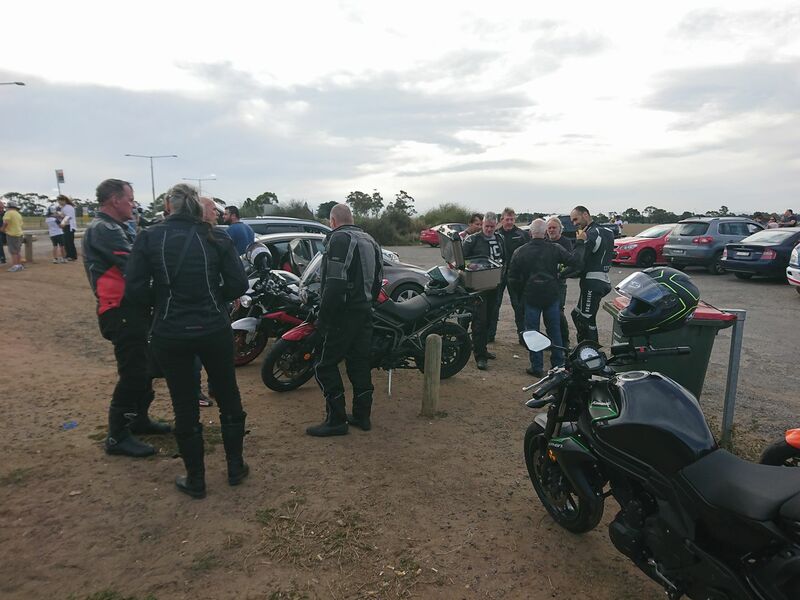 I volunteered to be tail rider and we continued on, turning left and heading west around the back of the Macedon Rangers towards Woodend. 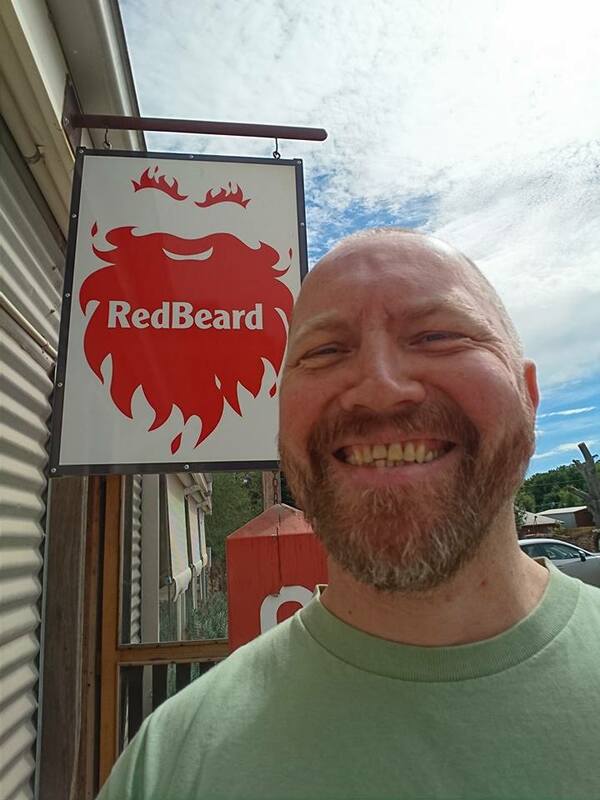 From Woodend we continued west to Trentham where we pulled into the Red Beard Café for morning tea. We all sat around a long table in the rear courtyard enjoying our coffee when Christian announced that he was no longer the ride leader. The cards came out for the third time and were shuffled, this time Tim who was pillion on H’s BMW chose a card from the deck. This time it was Michael Beaumont’s turn to lead the ride. 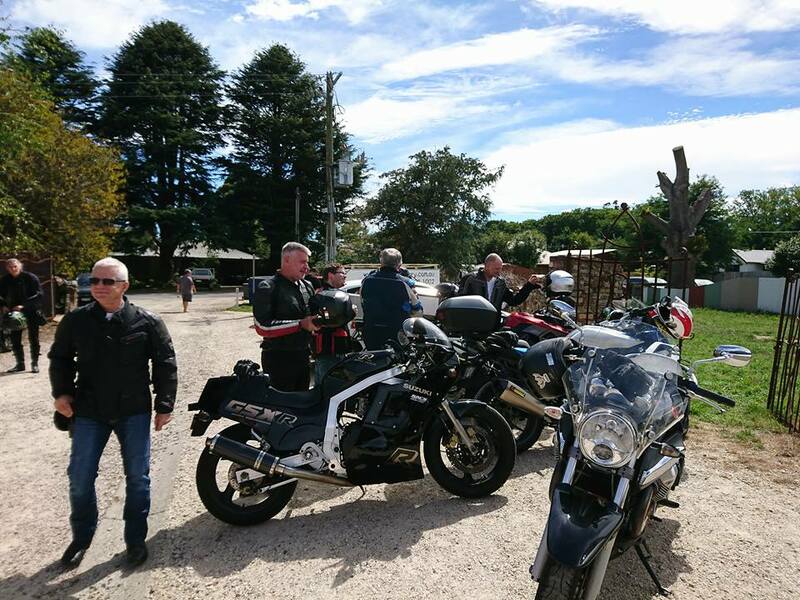 After morning tea we saddled up and Michael lead us in a north-east direction through Tylden, Kyneton and Glenhope, past Lake Eppalock and into the main street of Heathcote where we pulled up and Michael declared he was no longer the ride leader. The cards were shuffled again and Tim chose another card from the deck. Rob was now in charge and as it was already midday it looked like Rob would also have the added responsibility of organising lunch for the group. 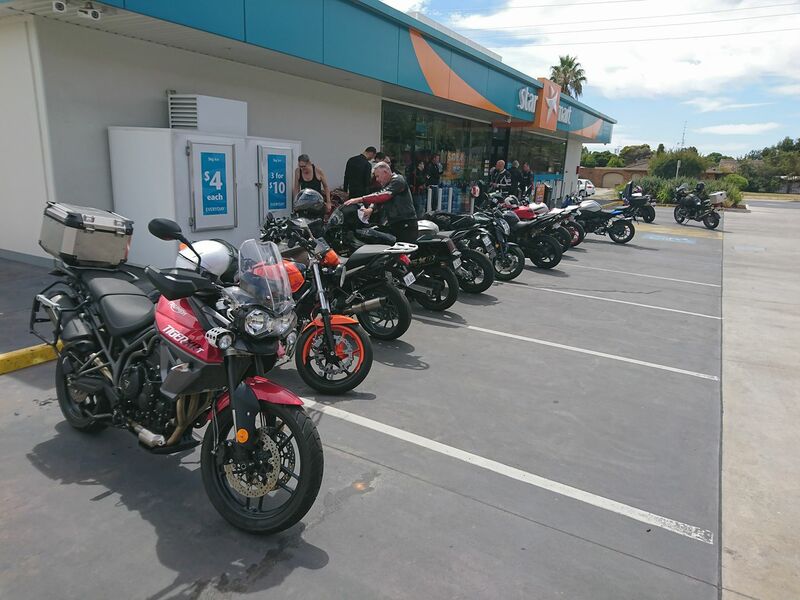 This time heading north we rode through Goonong, then south to Axedale and west to Huntley, finally scooting around the outskirts of Bendigo to Golden Square just west of the Bendigo town center, where we stopped for fuel. It was almost 2pm and the group was getting hungry. Rob declared he was no longer the ride leader and Tim drew another card from the deck. This time it was H and his first priority was to feed the group. 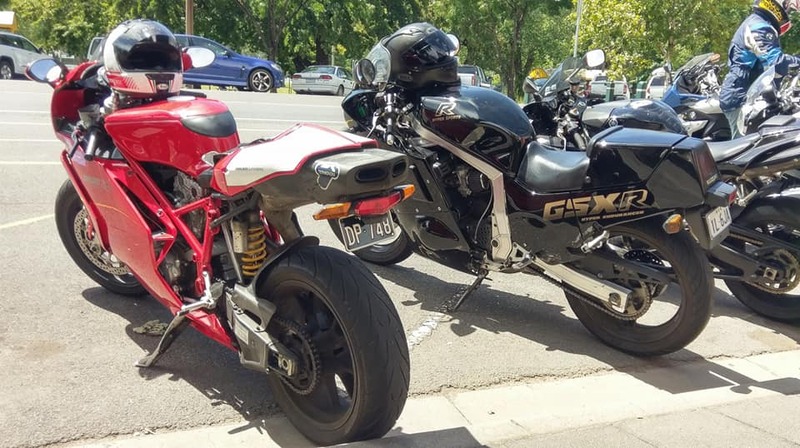 We rode 2.2 kilometres down the road to the Beechworth Bakery in Bendigo. The temperature had climbed into the low thirties and the air-conditioned eatery was a welcome relief. Well done H. Over lunch H declared he was no longer ride leader as he had accomplished the minimum requirement of the relay ride rules of getting us to the next suburban shopping strip, and at the same time earning himself the title of leading the shortest ride ever in the history of the club. Christian had another turn at choosing a card from the deck and David Wilson was the lucky winner. 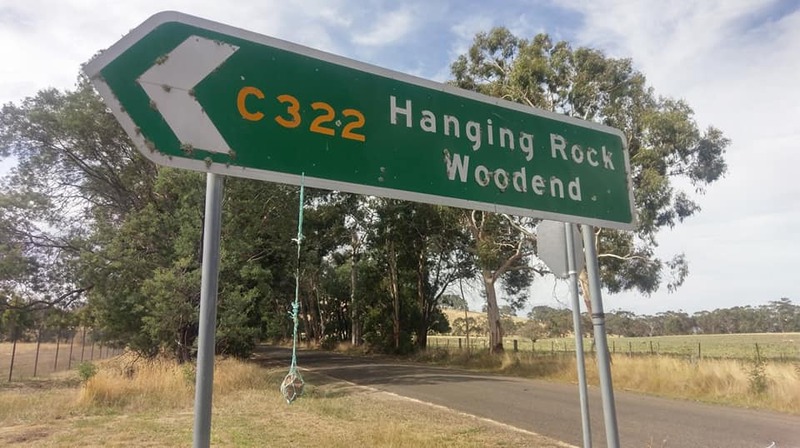 Offering to bribe his way out of leading there were no takers so he led us directly south through Ravenswood, Castlemaine and past Mount Franklin. Where is he taking us I wondered? AH, possibly Daylesford. Sure enough we pulled up in the main street of Daylesford and David declared he was no longer the ride leader. The cards came out for the seventh time and Tim took a card from the deck. Stefano now had the duty of getting us somewhere close to Melbourne as the time was now approaching 5pm. We headed back towards Trentham, and through Tylden and Woodend retracing our steps in reverse of where Christian had taken us earlier in the day. From Woodend we went over the top of Mount Macedon and into Gisborne where H & Tim, and Phil peeled off to the freeway to head directly home. From Gisborne Stefano took us through some back roads into Sunbury and back to the Tullamarine Aircraft Viewing area where we started eight and a half hours earlier. We’d ridden approximately 430 kilometres. Michael & I had travelled 670 kilometres by the time we’d dome a return trip from Marysville. This was a really great ride, and thank you to everyone who attended and especially to our seven ride leaders who all did an awesome job. Well done! I look forward to organising another Relay Ride sometime in the future.